Farm Land with Vineyard, Olives, Fruit trees & Farmer’s Cottage - Property for sale. 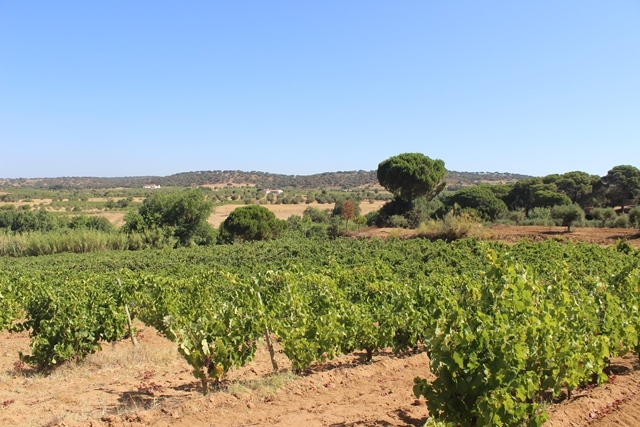 Full Description: Farm Land with Vineyard, Olives, Fruit trees & Farmer’s Cottage near Vidigueira, Alentejo 5.3 hectares of agricultural land, partly irrigated, including 8.000 m2 of red grape vines, 140 fruit trees [mainly citrus] and 318 olive trees. There is a plentiful supply of good quality water including a water mine, large tank filled by the natural spring, plus 3 wells. Mains electricity on the land. There is a large flat area which would be ideal for horses. The small farmer’s cottage has 2 rooms and needs renovating. Possibility to extend the building. Situated in the area between Vila de Frades and Vila Alva, Vidigueira with beautiful country views.